Doug is a 1985 graduate of the Daemen College in Buffalo, New York, where he received his Bachelor of Science degree. He started his career working for the State of New York working with individuals with developmental disabilities. In 5 years, he worked his way up to Chief of Physical Therapy at Newark DDSO. 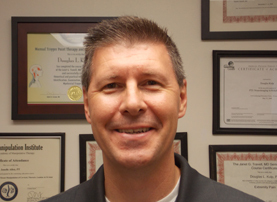 He started his own Outpatient Physical Therapy Practice specializing in Pain and TMJ in Downtown Rochester, New York in 1990. He opened Kulp Physical Therapy and Massage in June of 1996 in Victor, New York. He specializes in treatments including Joint Mobilization and Manipulation, Travell Trigger Point, Neural Mobilization, Strain/Counterstrain, Muscle Energy Techniques, Postural Analysis and Movement Impairment Exercises. He has taken many postgraduate continuing education classes which are too many to list here. Over the last seven years he has taken the Travell Manual Certification Course, 2007, Diagnosis and Treatment of Movement Impairments, 2009, Neuromuscular Imaging, 2009, Evaluation and Treatment of Temporomandibular Disorders, 2011 and Community Spine Pathway Training in 2014. In 2013, he added Massage Therapy to services available at Kulp PT and changed the name of the business to Kulp Physical Therapy and Massage. His emphasis at Kulp Physical Therapy and Massage is to provide an individualized evaluation and treatment that is a model for medical-based therapies with the best evidence-based medicine provided by our therapists. Doug prioritizes analyzing an individual's posture and providing a home-based exercise program that is tailored to the individual's diagnosis and functional needs. 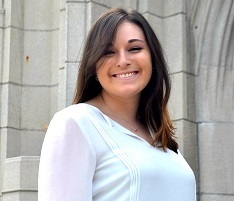 Jillian is a 2017 graduate of Nazareth College in Rochester, New York, where she received her Doctorate of Physical Therapy. She has diverse clinical experiences with a variety of populations and conditions in outpatient orthopedic, occupational health, and skilled nursing facility settings. Jill also completed a Doctoral project over the span of 2 years regarding interprofessional collaboration which is to be published by the American Physical Therapy Association’s Home Health Section. She joined the team at Kulp Physical Therapy and Massage in September of 2017. 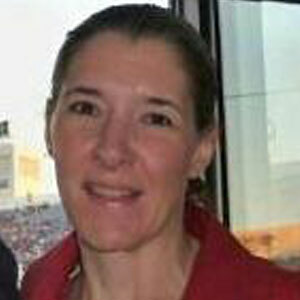 Jill is very involved in the Rochester community and has served as a Wellness Coach at the YMCA for over 2 years. Additionally, she teaches balance and falls prevention classes to local Holocaust survivors. Jillian is a member of the American Physical Therapy Association and the New York Physical Therapy Association. She is interested in both vestibular rehabilitation and concussion management, as well as manual therapy, and plans to take continuing education courses in these areas. 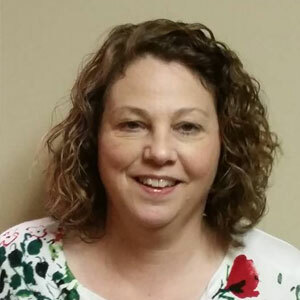 What Jill loves most about Kulp Physical Therapy and Massage is the one-on-one treatment approach that all patients receive here. The newest member of the Kulp Physical Therapy and Massage clinical staff. 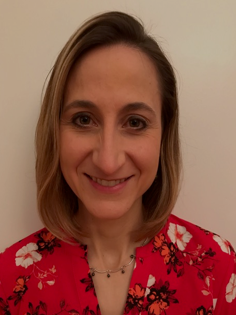 Leah is a 1999 graduate of Ithaca College, Ithaca, New York where she received her Bachelors of Science, Minor in Psychology, and Masters in Physical Therapy. During the last 20 years of practice, she has had valuable experiences in a variety of settings. After starting in an outpatient clinic in Brockport her first year, she directed her focus to long term home care. Working for Park Ridge at Home exposed her with a wide spectrum of conditions seen in primarily the elderly population. Along with home care she also treated participants at three medical adult day programs. These patients had conditions including strokes, Parkinson's, Alzheimers, Guillain-Barré, Huntington's, and a large group of Multiple Sclerosis patients. Leah moved on to work for Unity Health System in the acute care setting at Park Ridge/Unity Hospital. For over 12 years she learned how to take care of patients on all floors of the hospital and eventually became a senior therapist in the department. She also helped organize volunteers in the PT gym, coordinate and teach student physical therapists, and assist the supervisor in scheduling patients and therapists. There were brief exposures to short term rehabilitation and acute brain injury rehabilitation. While still working for the hospital, Leah started to moonlight at a private outpatient clinic. This eventually evolved into full time outpatient work, primarily at Rochester Regional Health. Training and coursework included basic and advanced vestibular rehabilitation, Mulligans Concept, Functional Movement Systems, Instrument Assisted Soft Tissue Mobilization Technique, Sahrmann’s Movement Impairment Syndromes, Advanced Pain Science Applications, and multiple spine and manual classes. Her current efforts focus on therapeutic neuroscience education for individuals with chronic pain and studying for the Orthopedic Clinical Specialist Certification. Outside of her career she enjoys gardening and donating vegetables to her church community, cooking, canning, and playing with her two Labrador retrievers. She competes in several sports with her husband including cross country skiing, cyclocross, mountain biking, and trail running. I am very excited and looking forward to continuing my career at Kulp P.T. in February 2019.